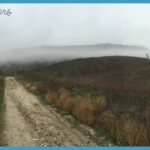 The Upper Las Virgenes Canyon Open Space Preserve (Formerly The Ahmanson Ranch) Is A Sprawling, Unspoiled Landscape In The Simi Hills That Straddles The Los Angeles-Ventura County Line. Dirt Ranch Roads Lace Through The Rolling Grasslands And Oak-Studded Hills Of The 2,983-Acre Park. 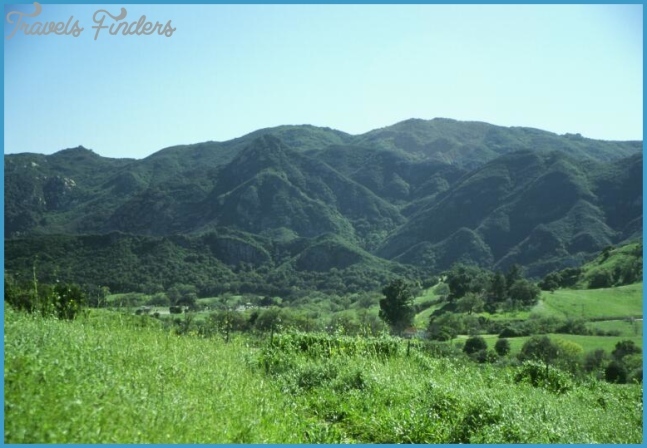 The Bucolic Open Space Contains Nine Miles Of Seasonal Streams That Form The Headwaters Of Malibu Creek. The Streams Flow Through The Ranch Land En Route To Malibu Lagoon In The Santa Monica Bay, One Of The Last Remaining Coastal Wetlands In The County. The Diverse Land Boasts Shady Streamside Riparian Habitat, Walnut Woodlands, Valley Oak Savannah, Coastal Sage Scrub, And Native Perennial Grasslands. The Elevations Range From 870 Feet To 1,840 Feet. 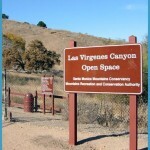 The Open Space Preserves Of Upper Las Virgenes Canyon, Cheeseboro Canyon, And Palo Comado Canyon Lie Adjacent To Each Other With A Network Of Inter-Connected Hiking Trails. 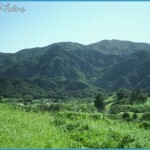 This Hike Begins At The Northern End Of Las Virgenes Road In Calabasas. The Loop Hike Begins By Following A Creekbed Through A Gorgeous Oak Woodland, Then Gently Winds Through Rolling Grasslands With Great Vistas. En Route, The Trail Crosses A Saddle And Drops Into A Lush, Forested Canyon. The Trail Connects With The Adjacent Loop To The East Hike 142. From The Ventura Free Way/Highway 101 In Calabasas, Exit On Las Virgenes Road. Drive 1.5 Miles North To The Posted Trailhead At The End Of The Road. Walk Through The Trailhead Gate At The End Of The Road. 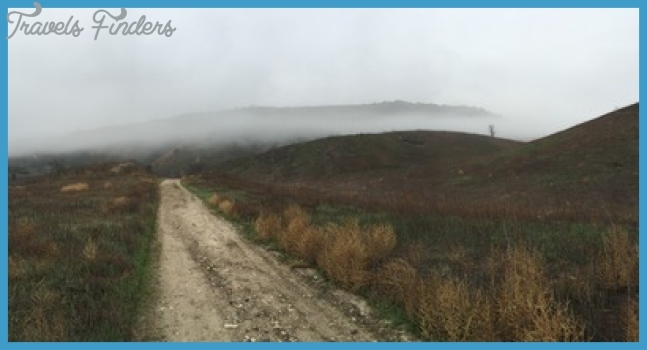 Follow The West Edge Of Seasonal Las Virgenes Creek 0.3 Miles To A T-Junction. Begin The Loop To The Right On The East Las Virgenes Canyon Trail. Gently Wind Up The Open Rolling Hills Through Vast Grasslands With Distant Views Up The Wide Canyon. At A Half Mile, A Short Side Path Drops Down To The Stream In A Pocket Of Stately Oaks. The Main Trail Continues North To A Distinct Junction By A Wooden Post. 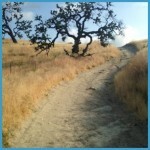 The East Las Virgenes Canyon Trail Continues Straight Ahead To Laskey Mesa And The Victory Trailhead (Hike 142). Veer Left On The Two-Track Trail. Head Up The Side Canyon, And Curve Around A Hill To An 1,100-Foot Saddle. Drop Down Into The Next Drainage To The West To A Posted Junction At The Base Of The Steep Hill. Bear Left And Cross The Canyon Bottom To A Second Saddle With More Great Vistas Of The Surrounding Hills. 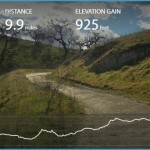 Descend To A Posted T-Junction With The Upper Las Virgenes Canyon Trail. The Right Fork Leads Up Canyon To Bell Canyon, Runkle Canyon, And To Upper Cheeseboro/Palo Comado Canyons. 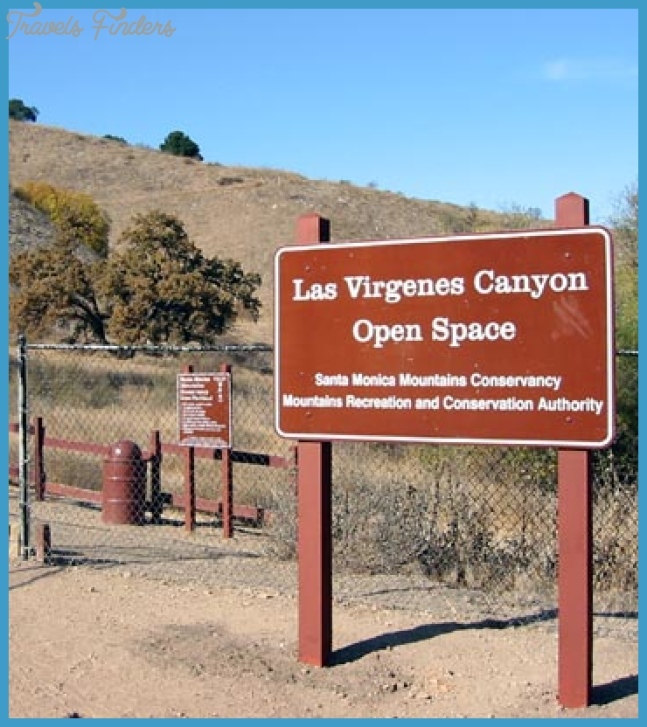 Upper Las Virgenes Canyon Open Space Preserve (Formerly The Ahmanson Ranch) Is Nestled Along The West End Of The San Fernando Valley On The Eastern End Of Ventura County. The Preserve Lies Adjacent To Hidden Hills, West Hills, And Calabasas. The Wrinkled, Chaparral-Dotted Hills Encompass 2,983 Acres Of Open Land With Groves Of Valley Oak, Coastal Live Oak, Cottonwoods, Sycamores, And Walnut Trees. The Area Is An Important Wildlife Corridor Connecting The Santa Susana Mountains With The Santa Monica Mountains. 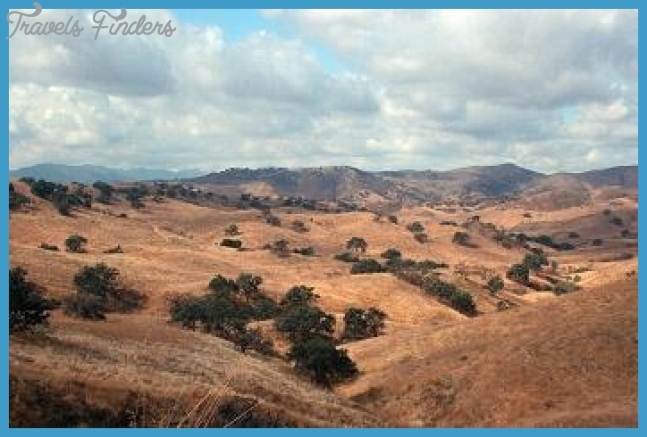 The Unspoiled Ranchland Within The Malibu Creek Watershed Was Used As A Backdrop For Such Classic Films As Gone With The Wind, Duel In The Sun, And The Charge Of The Light Brigade. There Are More Than 15 Miles Of Hiking Trails Open To Hikers, Bikers, Equestrians, And Dogs. The Trails Are Mostly Fire Roads And Some Single Track. This Hike Begins From The Victory Trailhead At The Western Terminus Of Victory Boulevard In West Hills In The San Fernando Valley. 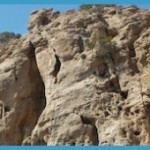 The Hike Forms A Loop Along Three Trails: Las Virgenes Canyon Trail, Laskey Mesa Trail, And Ahmanson Ranch House Trail. The Scenic Route Crosses Gently Rolling Hills Dotted With Majestic Oaks And Circles Laskey Mesa, A Broad Plateau On The Southern Portion Of The Park. 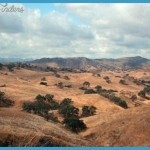 From Laskey Mesa Are Far-Reaching Vistas Of The San Fernando Valley And The Simi Hills. From The Ventura Free Way/Highway 101 In Woodland Hills, Exit On Mullholland Drive/Valley Circle Boulevard. Drive 2.2 Miles North On Valley Circle Boulevard To Victory Boulevard. Turn Left And Drive 0.6 Miles To The Gated Entrance. For Free Parking, Park Outside The Gate On Victory Boulevard. For The Pay Parking Lot, Drive 150 Yards Past The Gate To The Lot. From Highway 118/Ronald Reagan Freeway In Chatsworth, Exit On Topanga Canyon Boulevard. Drive 2.5 Miles South To Plummer Street. Turn Right And Continue 6.3 Miles To Victory Boulevard. (En Route, Plummer Street Becomes Valley Circle Boulevard.) Turn Right On Victory Boulevard And Drive 0.6 Miles To The Gated Entrance. For Free Parking, Park Outside The Gate On Victory Boulevard. For The Pay Parking Lot, Drive 150 Yards Past The Gate To The Lot. Walk Past The Entrance Gates Into The Pay Parking Lot To The Trailhead. Pass Through The Trailhead Gate To An Immediate Junction. To The Right, The Hunter Allen Trail Heads North One Mile To El Escorpion Park (Hike 143). 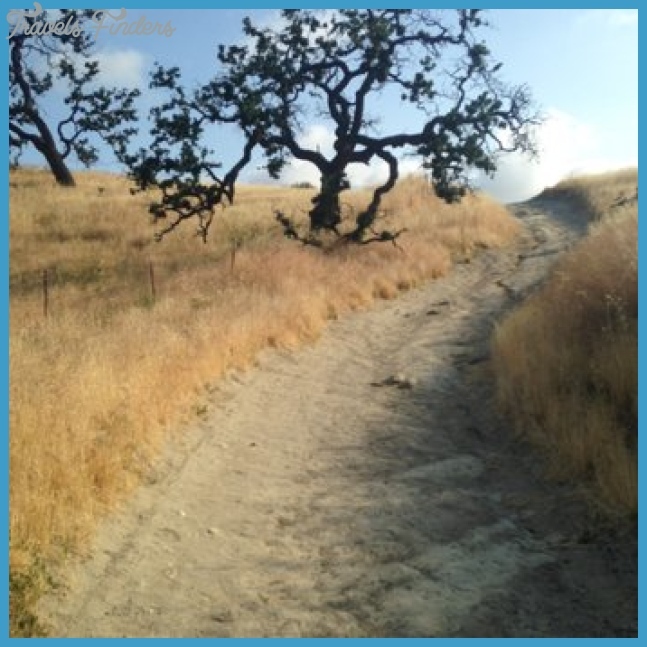 Go Straight On The East Las Virgenes Canyon Trail. Gently Descend Into The Open Canyon To A U-Bend And Junction With The Ahmanson Ranch House Trail, Our Return Route. Begin The Loop To The Right, And Continue On A Long, Gently Winding Downward Slope. Curve Right And Make An S-Shaped Bend With Minor Dips And Rises. Continue Through The Open, Oak-Dotted Hillsides To A Junction At 1.1 Mile. 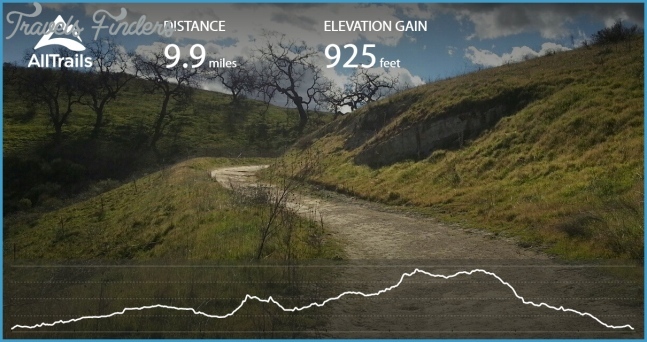 The Right Fork (Straight Ahead) Leads To The Las Virgenes Trailhead (Hike 141) And Cheeseboro Canyon (Hikes 137-140). For This Hike, Bear Left On The Laskey Mesa Trail And Steadily Loose Elevation. At 1.4 Miles, Ascend The Slope And Pass Under A Couple Of Old Growth Oaks. Make A Sweeping U- Shaped Bend To A Junction With The Mary Weisbrock Loop Trail. Both The Laskey Mesa Trail And The Mary Weisbrock Loop Circle Laskey Mesa, A Large Flat Grassland. Weisbrock Loop Trail, And Follow The East Side Of The Mesa 0.3 Miles To The East Corner Of The Loop, Where The Two Route Options Rejoin. Continue Straight While Overlooking The Rolling Hilly Terrain, And Stay Left At A Y-Fork 60 Yards Ahead. Curve Left To A View Of The Trailhead And Descend To A Junction, Completing The Loop. Return To The Trailhead On The Right.